I just bought a new wallet! It's pink with gold buckle and sides. NOW I DON'T KNOW WHICH ONE TO USE! What do you think? 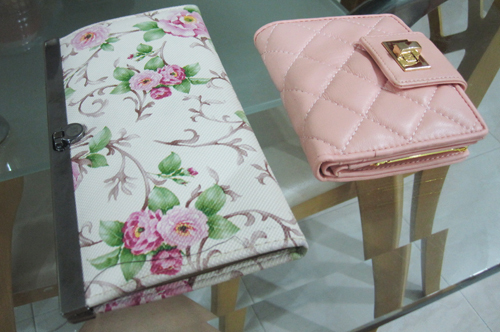 The floral one is my current wallet. It's too big as my ideal size but I like the design. 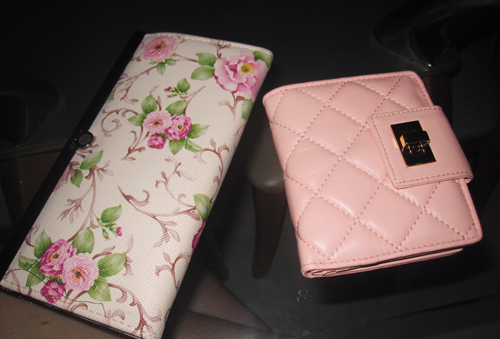 The new one is tiny and perfect in size, but it seems too plain as compared to the floral one right? Which one should I use first! Which one you like more?